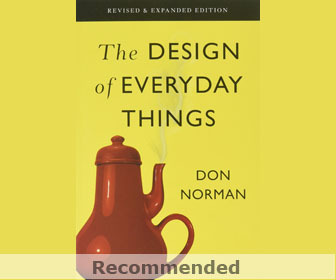 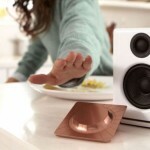 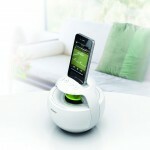 Are you looking for cool gifts for a gadget lover? 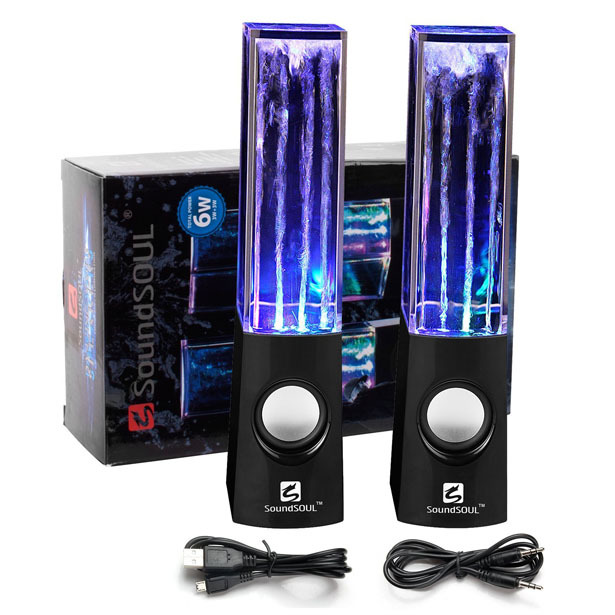 Well, SoundSoul Mini Amplifier Music Fountain Speakers should be in your list. 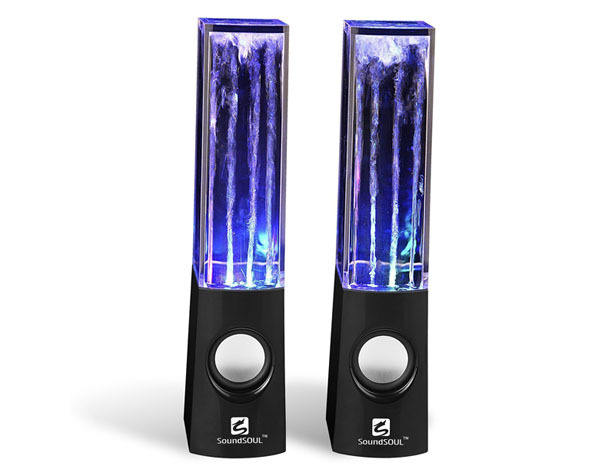 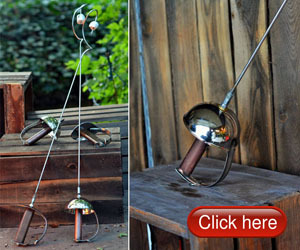 It’s a set of cool fountain speakers that features bright, vivid, clear visual musical LED lights. 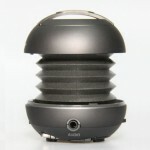 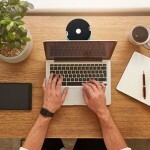 They are 9-inch tall speakers and compatible to any audio device that has 3.5mm audio jack connection. 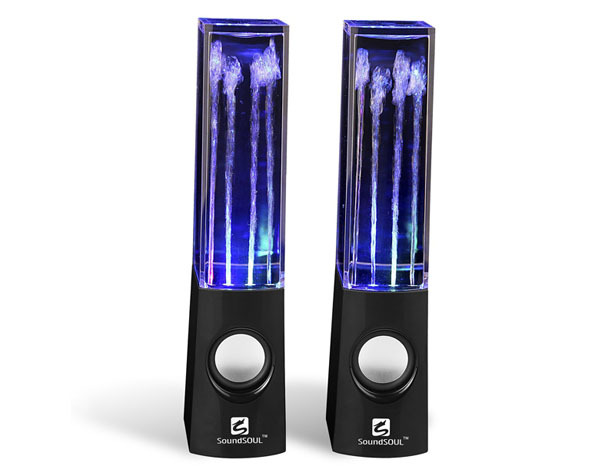 The height of fountain spray is interactive, it’ll increase as the volume of the music and go along with beat of your songs, so year, it looks really cool when that water shoots up. 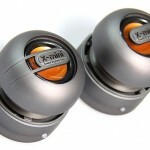 These are wired speakers, but there’s another model if you want to get the Bluetooth connected ones. 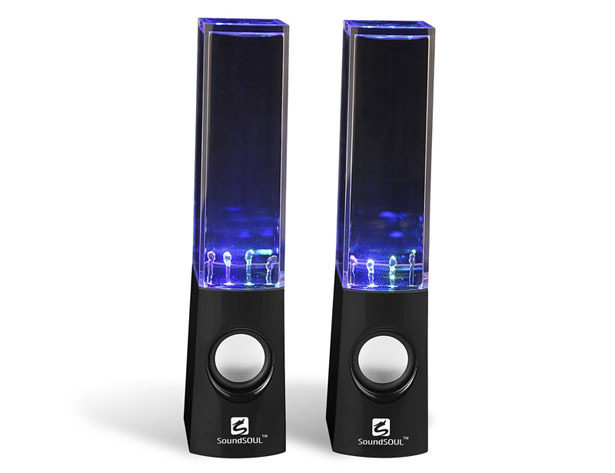 These speakers don’t have their own volume control, some people think it’s better this way so that they can only control it from the music device. 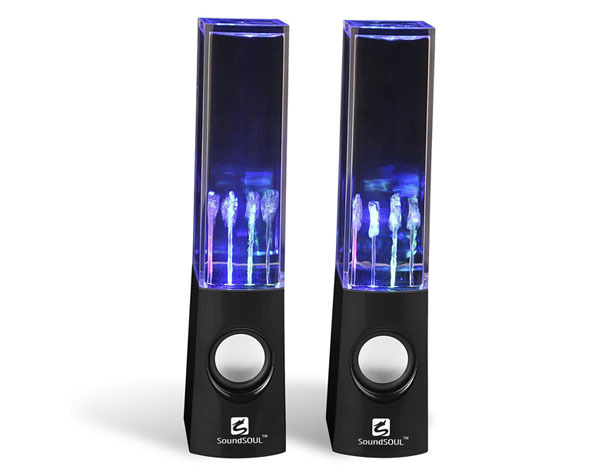 The LED lights are pretty bright even during the day while the sound is pretty clear considering the affordable price. 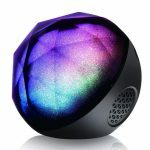 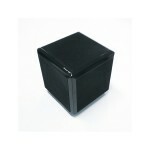 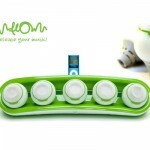 Tagged as cool speaker design, fountain music speaker, gift for geek, gift for music lover, wired fountain music speaker.